I'm on a mission! I want to get through more of the products I have in my collection. Because I'm so constantly trying new things, there are always products that get forgotten, so I want to be more mindful of reaching for the old along with the new. Another thing I want to do is just throw things out that I think are crappy. I tend to hold onto things, either because I forget about them or because I hope they'll change my mind in the future. Either way, I want to get into the habit of getting rid of those things, because I just don't have the space or inclination to be a hoarder. How's that for an intro? 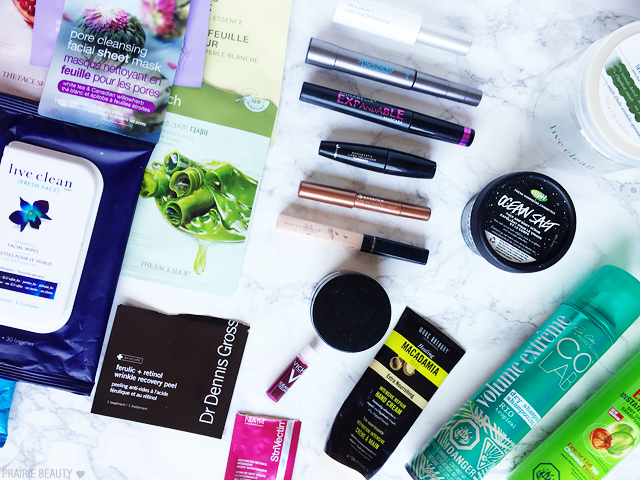 Check out what I used up/what I'm throwing out this month! These were a serious bath time staple for me in February and I feel like I went through them insanely quickly - but I absolutely love them and have every intention of picking up some more. This rich, bright scent is just perfect for a sort of soothing pick-me-up in the bath. Definitely will repurchase. I absolutely love the Sheer Invisible COLab dry shampoos, but I absolutely can not get behind the Volume Extreme versions. I think the thing for me is that I don't use dry shampoo to volumize or texturize my hair, so this just isn't up my alley. This just makes my hair feel dirty, which is the opposite of what I want. Definitely won't repurchase. I feel about this dry shampoo very much the way I feel about the COLab - it makes my hair feel dirty and it just isn't what I'm looking for in a dry shampoo. Definitely will not repurchase. Ocean Salt is a long time favorite of mine and one of my absolute favorite summer products. I do actually use this for both face & body, though I actually tend to use it for face more often than body. I thought it would be too harsh for me, but as a once a week scrub it's pretty perfect. I've already repurchased this multiple times and will continue to. I'm a bit of a hand cream fiend, I must admit, but while this one is really hydrating I find that it sits on my hands a little bit longer than I might like and leaves them feeling a little bit greasy. I love the scent and the hydration, but the greasiness is a deal breaker and I won't repurchase this one. Um, no. This mascara is just not for me. I didn't find it to really do much for my lashes and I just didn't like it over all. I can't even really say what I didn't like about it, because it was just a little bit nothing for me. However, I have actually been enjoying the Almay One Coat Multi Benefit Mascara for light makeup days, so I'd be much more likely to go for that one. No repurchase. 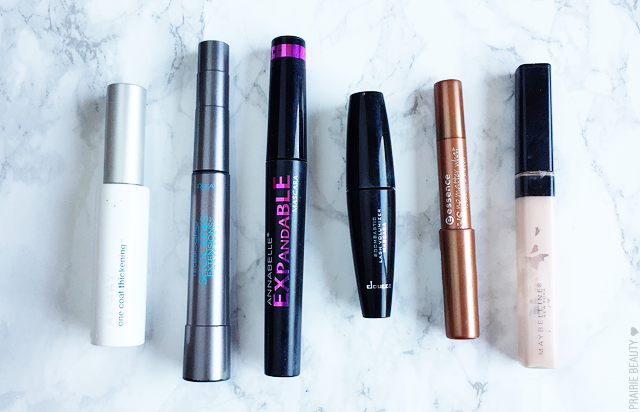 I'm down to two backups of this now discontinued mascara - and I'm really bummed about it. This is my every day bottom lash mascara, because it's defining and lengthening without every being heavy or too much, and I also use it as a primer when I really want my lashes to hold a curl. This is just a forever favorite and the devastation that it was discontinued is still very real. This mascara was actually a HUGE surprise to me, because I didn't think I was going to like it nearly as much as I do. This is a fairly dry mascara, which is my preference, and I find that every time I use it my lashes look absolutely gorgeous. GORGEOUS. Definitely will repurchase at some point in the future. Amazing! I swear, I tend not to have high hopes for mascaras that I get in subscription services, but this one absolutely knocked it out of the park and gave me the fluttery, incredibly black, incredibly full lashes of my dreams. I'm not sure I'll repurchase, simply because it's not that easy to get my hands on, but I absolutely loved this. Full disclosure, I did not use this up. Unfortunately, this dried up enough that the product fell completely out of the pencil and I knew it was time for the trash. I never really fell in love with this, though I did think it was a good product. This has also been discontinued, so no repurchase. Couldn't even guess how many times I've repurchased this - and it's already on the shopping list because I just absolutely need to have this in my collection at all times. This is a forever favorite and one I will continue to repurchase until they discontinue it - and when that happens, I'll buy all of the backups I can! I didn't use this one up either, but I figured it was time for the trash for this one. I do think this is good, but one thing I've discovered about Korean moisturizers is that they can be a little bit too heavy for my skin, and that's definitely where this one fell. I liked it, but I won't repurchase. Would, however, repurchase the Snail Bee High Content Essence, because it's amazing. I was promised, when I received this sample, that I was going to fall absolutely in love with it. I think that I'd have to try it a few more times before falling in love with it, however, because two uses is just not enough for me to really know how I feel about a product. It worked well on my skin, but I'm not writing odes to it yet. Might purchase full size. I actually got this sample before I received the new Idéalia products from PR and I'm currently testing out the full size of this for review. So far, so good. I'm just about thrilled that VICHY has released an acid toner and my first impressions are overall pretty good. Check back in the next couple of weeks for full review. This is INTENSE. I have a couple more samples of this that are probably going to show up in next month's empties, but after using up this one I'm just really, really impressed. Dr. Dennis Gross peel pads are kind of legendary and have never let me down, so I have a feeling these will end up on the wishlist pretty soon. I love sheet masks from THEFACESHOP and I really enjoyed this one, though it hasn't usurped their Rice mask as my favorite from the brand. This is good and I have a couple of more in my stash that I got for Christmas this year, so I'll definitely enjoy using them. Not sure about a repurchase though. This mask is a go to for me when I'm having hormonal breakouts because it absolutely always leaves my skin looking and feeling better than before I used it. This is an always repurchase for me. This is a mask I'll use on a night when I just want the soothing, relaxing experience of using a sheet mask. 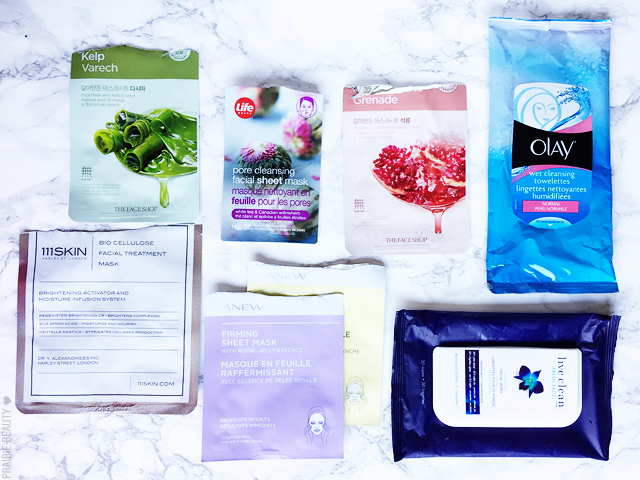 I don't know that I really see any amazing results from it, but I enjoy the experience and like with a lot of sheet masks my skin feels really soft and hydrated after I remove this. Don't know about a repurchase. I used these to remove swatches and I don't think I'd ever put these clothes on my face. I'm not the biggest fan of using cleansing cloths on my face these days anyway, but definitely, definitely not these ones. No repurchase. This mask was absolutely lush and I loved very second of having it on my face. 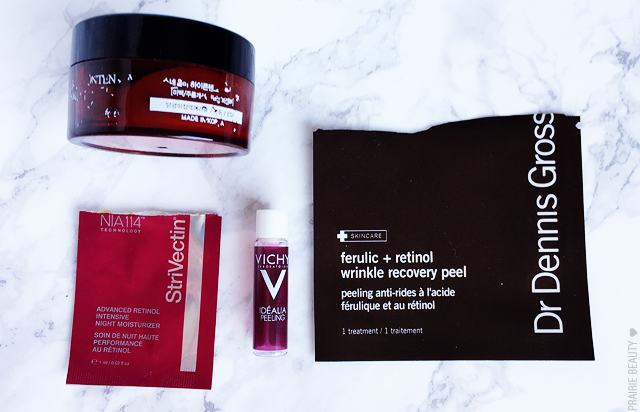 This was one of those gel masks, which I always think feel more better than sheet masks, and I really felt like it did something to improve the look and feel of my skin. Loved this! It's spendy though, so I don't think I'd repurchase, but I'd use it again definitely! I have a few more of these to use up and I really enjoyed it. I don't think I paid enough attention on the first try to know if I found it particularly firming, so check back next month and I'll be sure to give a better review. Ditto this one to the last one. I have a few more and I want to hold off on giving my opinion on them. One thing I will say straight away is that these feel really lovely and cool on the skin, which always makes the experience of wearing them more enjoyable for me. In the end, I mostly used these for removing swatches as well. I did like these on my face when I was using them in that way, and I found them to be really soothing and non-drying, so these are ones that I might use again on my face, but I'm just not so much into wipes anymore. Might repurchase. Ahhh, it feels really, really good to have such a huge batch of empties/things-I'm-throwing-out this month. 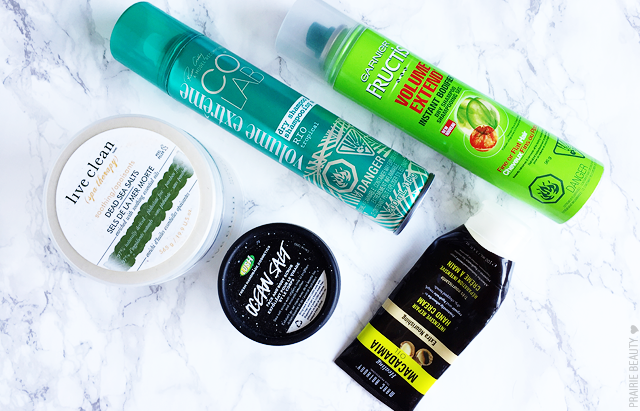 I think there were some definite winners & staples in this month's empties, as well as some real duds, which always makes me feel like I have a good mix. 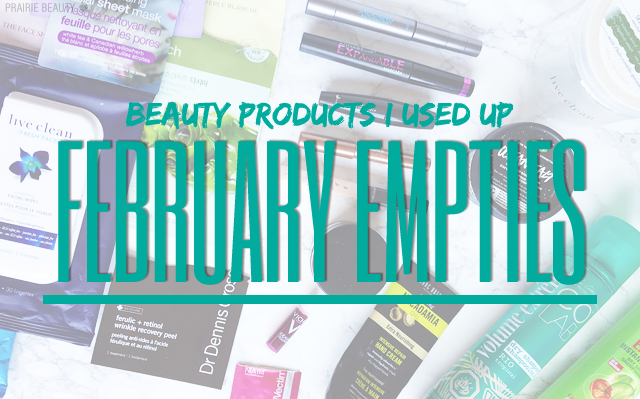 Check back next month for more empties - including, hopefully, a bit of a sample kill inspired by some fellow bloggers!